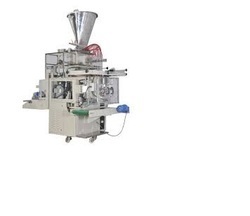 Our enterprise is counted among the reliable manufacturers and suppliers of Chips Packing Machine. The products we offer are developed by a team of educated professionals in tandem with the standards and guidelines laid by the industry. To meet the diverse requirements of the patrons, we offer these conveyors in different sizes and technical specifications with conyer Dry & Processed Foods, Fresh Foods. Options:Dimpled plate on all product contact surfaces, Overweight discharge equipment, Collection hopper, Printer. 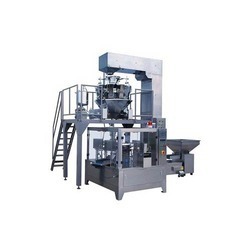 Our expertise of this domain has enabled us to offer a remarkable Multi Track Filling Machine to our clients. These machines are highly demanded in the market for their effective use in several industries and sectors. Besides, we put in all our efforts to make timely delivery of the ordered products at the clients premises. 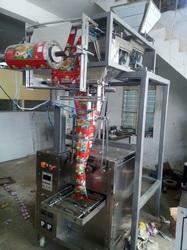 Our enterprise is counted among the reliable manufacturers and suppliers of Multi Head Packing Machine. The products we offer are developed by a team of educated professionals in tandem with the standards and guidelines laid by the industry. To meet the diverse requirements of the patrons, we offer these conveyors in different sizes and technical specifications with conveyor Dry & Processed Foods, Fresh Foods. Looking for Multi Head Packing Machine ?